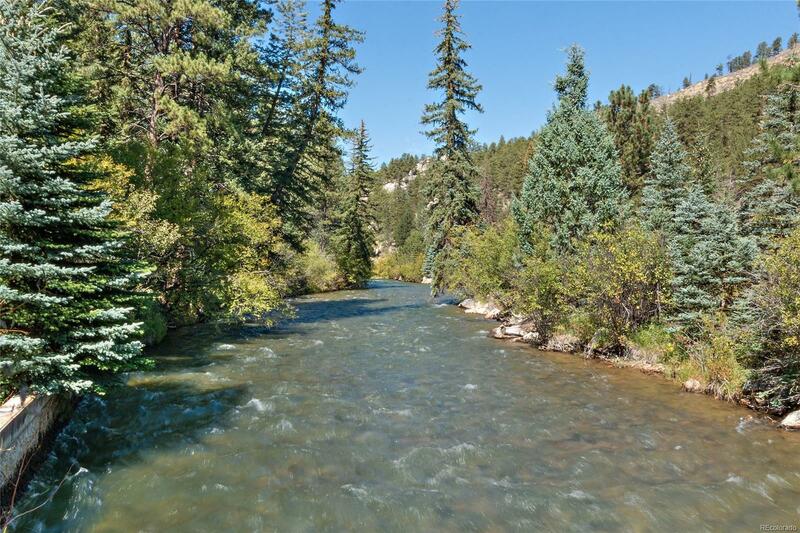 RARE RIVER FRONT property located in historic Glen-Isle Resort. Glen-Isle Resort includes 150 acres, and borders the Pike National Forest. The resort was just purchased in July 2017, and the new owners are looking to restore the historic resort to its former glory. The resort is scheduled to reopen by next spring. This water front log cabin is updated and includes a master suite with a full bath and a large walk in closet. The dining area is bright and sunny and looks out at the river. Enjoy the tranquility on your 300 sq ft wrap around deck with your favorite beverage, while relaxing to the sound of the Platte River. Most of the furnishings stay, washer/dryer are included, and newer hot water heater. This is mountain living at it's finest. Spend a relaxing day trout fishing right out your door, or go hiking or ATV riding through miles of the national forest that lead from the resort. This property is perfect for year round living, weekend get away, or great rental income from VRBO.